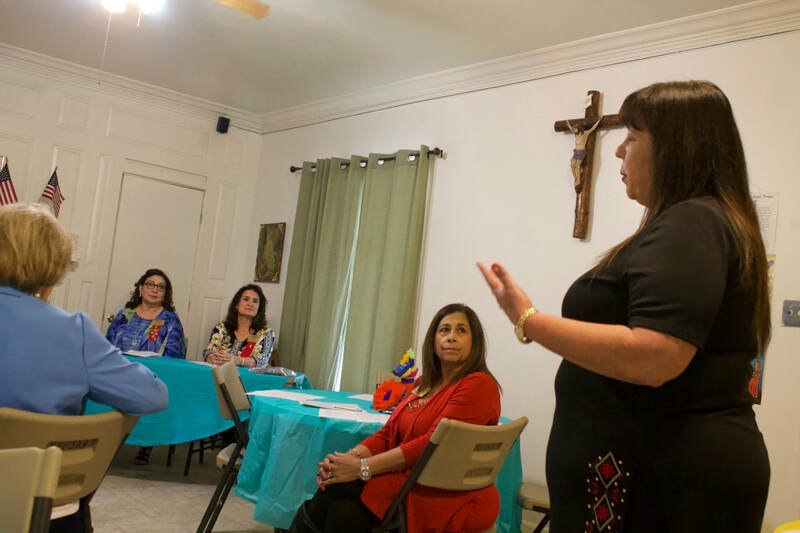 Beta Pi Chapter held their March 2018 meeting at St. Anne's House. The home hallway was lined with the warmth of new and gently used clothing to be donated to "The Closet" at Coastal Bend College (CBC). Alice. Seated (l-R) is CBC Professor Juanita Dominguez who accepted the donations of clothing, accessories and gift cards for "The Closet." The Closet is CBC's "Dress for Success" project to help students dress for interviews, jobs, school and events. Seated with Dominguez is Beta Pi President Adela Navarro and Elva Garcia. 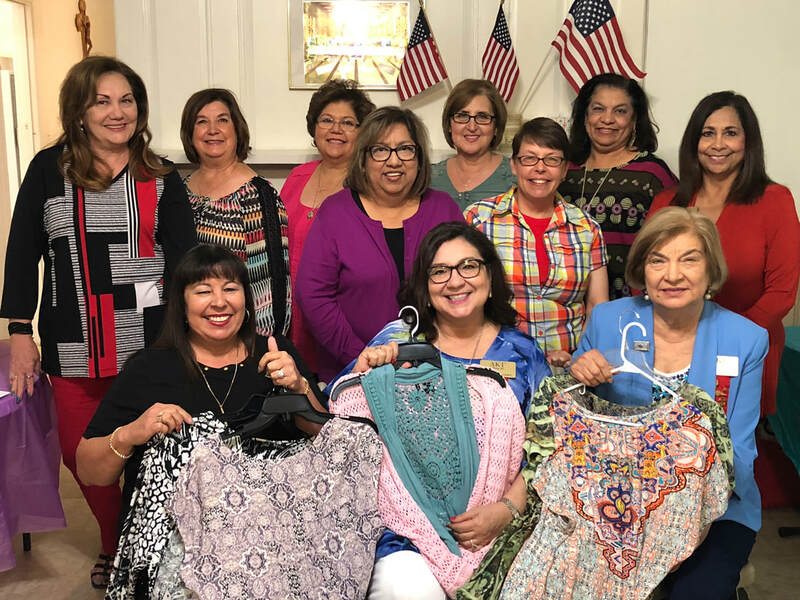 Members standing (l-r) are Veronica Nava, Nelda Perez, Kathy Hinojosa, Rosario Canales, Rosie Delgado, Mary Lane, Margie Longoria. Patricia Macias and Mellie Smithwick, taking the photo. CBC Professor Dominguez updates Beta Pi members on the success of "The Closet" on the campus of Coastal Bend College. 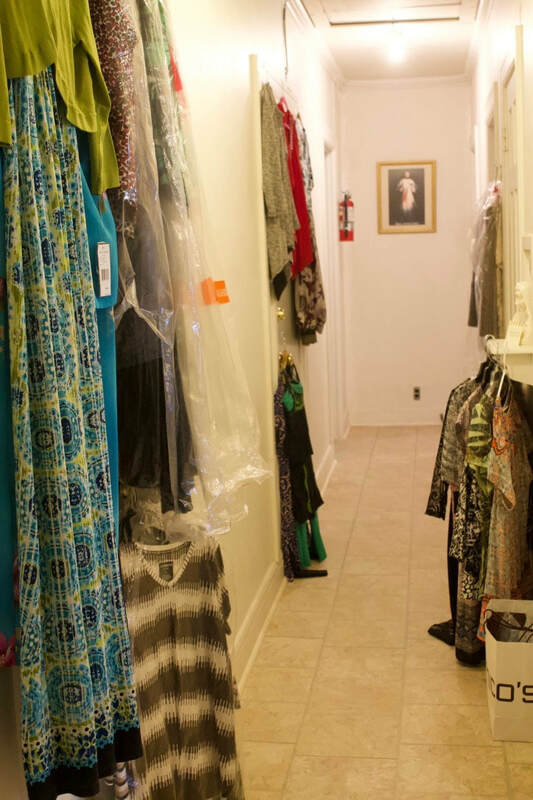 The hallway at St. Anne's House was lined with new and gently used clothing, accessories and gift cards for students for "The Closet" at Coastal Bend College (CBC), Alice.